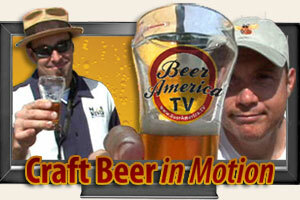 BeerAmerica.TV will be the first web site to have all the beer video you’ll ever want to see AND be the first beer web site dedicated to the specialty craft brewing world with industry experts and insiders just a click away! You think Germans know beer. Heck, in 1516 they authored the famous Reinheitsgebot , the beer purity laws followed worldwide. And the fact that Germany produces the third-most beer on the planet, behind only China and the United States, can only help with their suds knowledge. But knowledge is power and America is as powerful as they come when it comes to craft beer. Beer America will be the first web site of it’s kind dedicated to American specialty crafted beer and our growing thirst for it. With countless wine video blogs - why not beer?